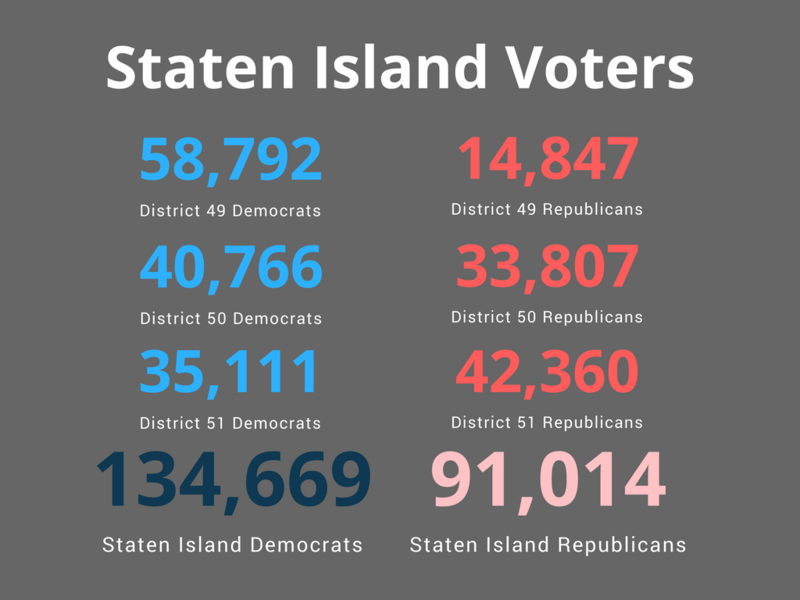 While Staten Island does have a far higher percentage of registered Republicans than New York City as a whole, City Council District 51 is the only district in the city where registered Republicans actually outnumber Democrats. Even there, the numbers are close. With so many registered Democrats, why don’t Democrats have more political power on Staten Island? 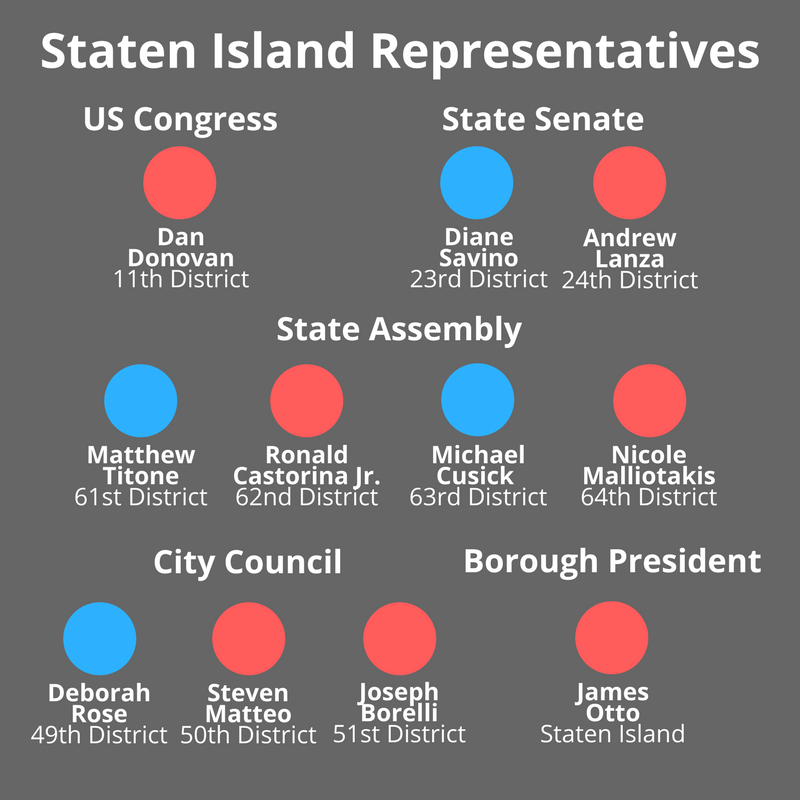 Some of Staten Island’s representatives are Democrats. 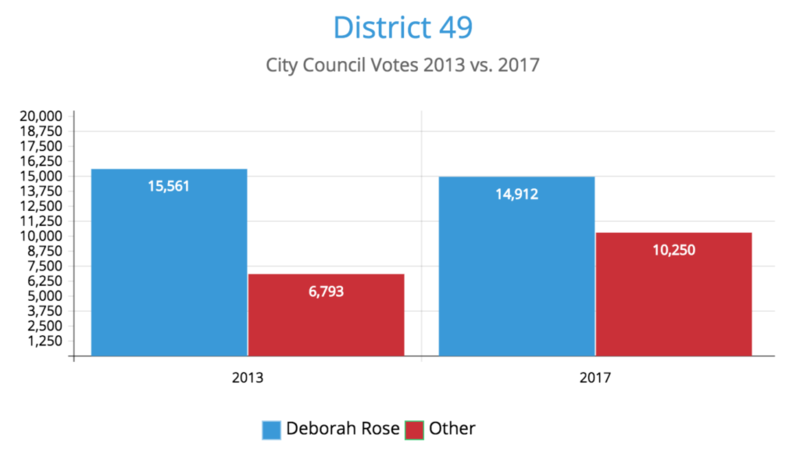 The District 49 City Council seat, which represents Staten Island’s north shore, has been held by a Democrat since it’s creation in 1992. 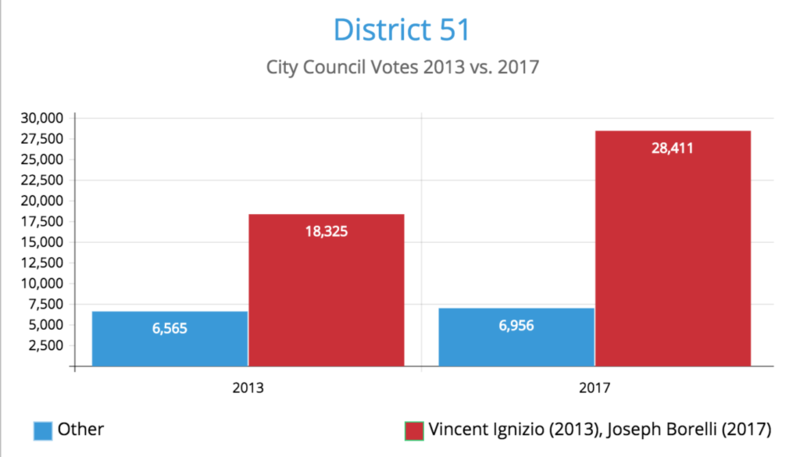 City Council District 50 and District 51, the two other districts that cover Staten Island, have been represented by Republicans for just as long. 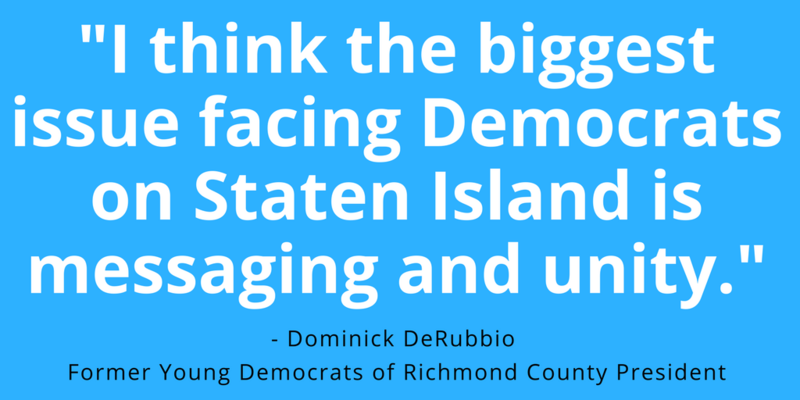 Former Young Democrats of Richmond County President Dominick DeRubbio said that he thinks one of the biggest problems Staten Island faces in electing Democrats to office is the lack of cohesive messaging and unity in the Democratic party as well as among the many different Democratic clubs on Staten Island. In addition to the Young Democrats of Richmond County, there is the Democratic Organization of Richmond County, the South Shore Democratic Club, the Island Democratic Civic Committee, the Staten Island Democratic Association, and the North Shore Democratic Club. Yet even as many elections across the United States saw major Democratic wins on Tuesday, the numbers from Staten Island’s City Council election suggest that the Republican stronghold there has only grown stronger since the last city-wide City Council election in 2013. 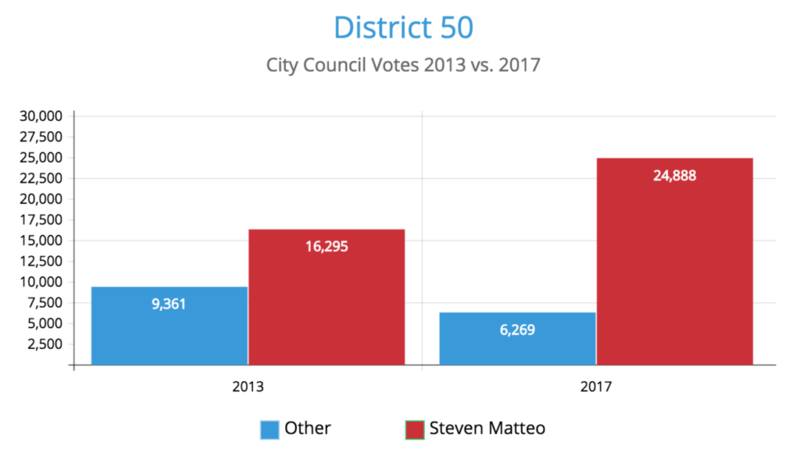 In 2013, District 50’s Steven Matteo won 64% of the vote. On Tuesday, he received 80% of votes. Voter turn out was also much higher in 2017 than it had been in 2013, meaning that the number of individuals casting Republican votes was much higher than it had been in 2013.